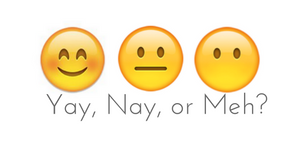 Last month, I introduced a new brand named Jowae on my blog. 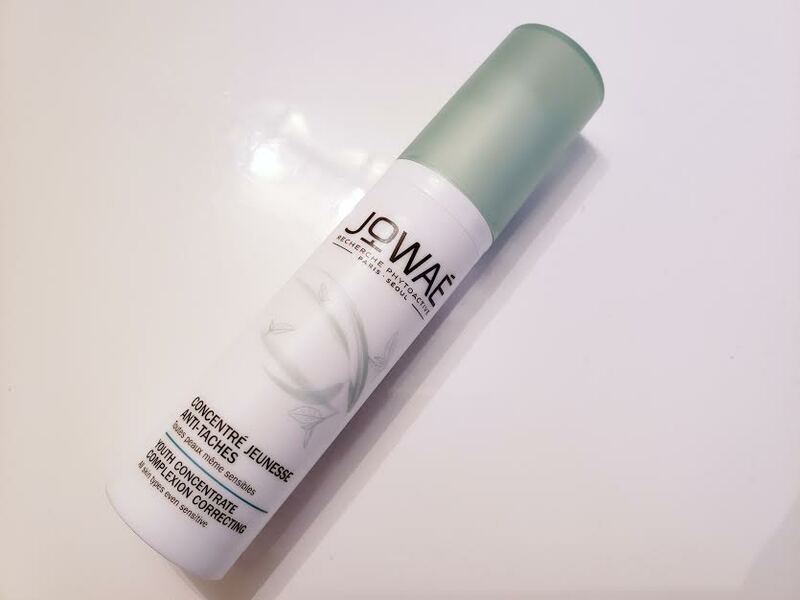 Jowaé just launched last month and can be now found exclusively at Shoppers Drug Mart! Since writing that post, I have been using some Jowaé products daily, including the one I will be reviewing today! It is such a mouthful so I will just be calling it the correcting cream. Twice as concentrated in antioxidant Lumiphenols, brewed from protective, repairing, anti-dark spots white tea, this serum also contains vitamins B3 and E and was inspired by the radiant complexion of Korean women. It is all skin types’ best friend. The youth concentrate complexion correcting is a true youth activator and skin perfector and defying all the negative effects of daily aggressions. Application: The cream easily dispenses with the pump, and the packaging is nice and sturdy. It has a light, thin consistency but don’t let that fool you! 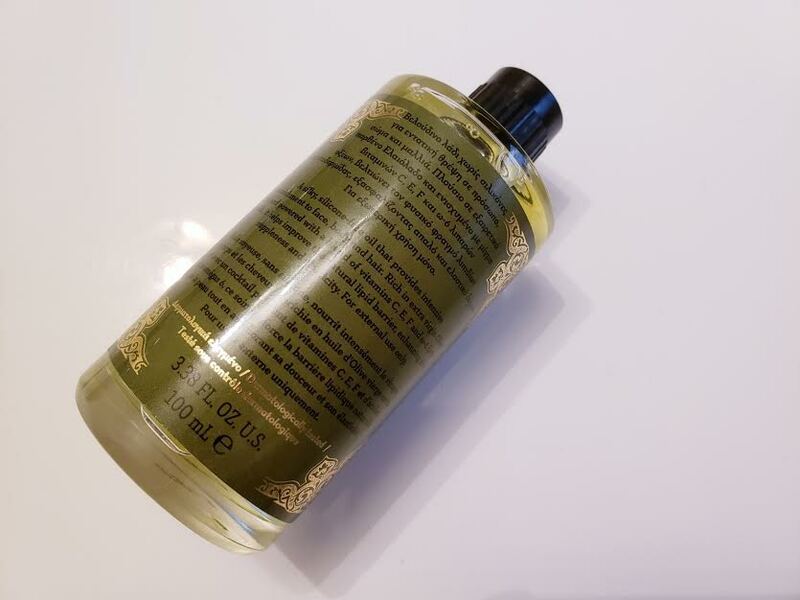 It is actually very moisturizing and rich, and absorbs very quickly into your skin. Because it is very rich (despite the light texture), this would be suitable for those with dry skin. 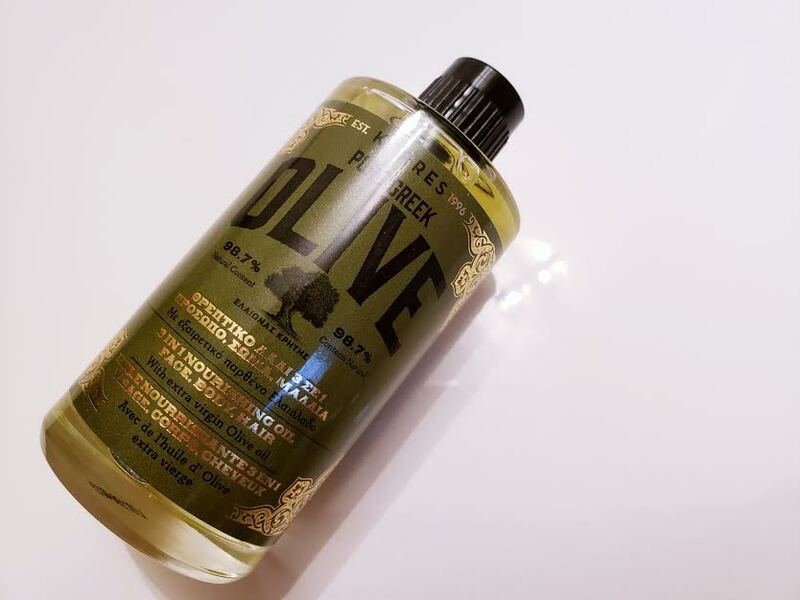 I have oily/combination skin depending on the season, and I found that when applying this in the morning, it made my face more oily throughout the day. So now, I only use it at night as a rich repair cream while I sleep. 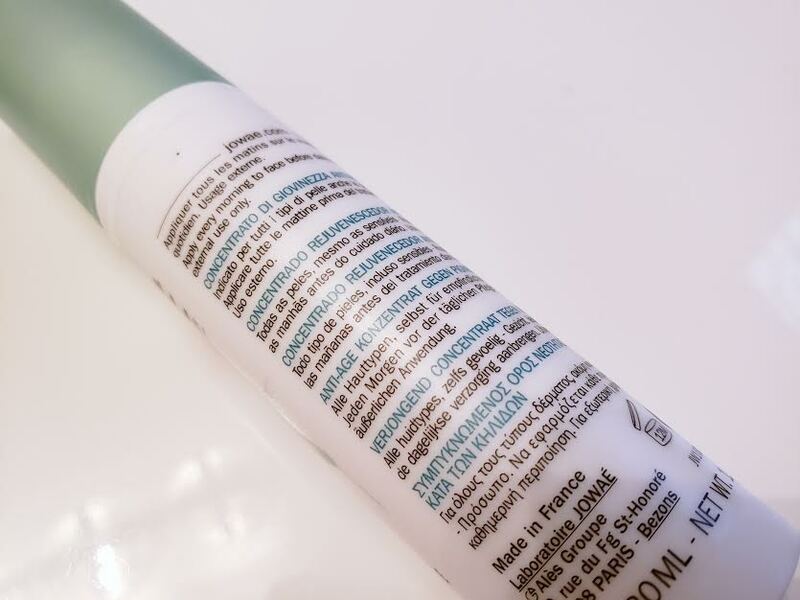 The Jowae correcting cream also has a nice, light scent too. It is not as feminine smelling like their sakura cream. Overall, my skin has been loving this cream! I like to use this right after my shower and before I sleep. In the morning, my face is soft and well moisturized! 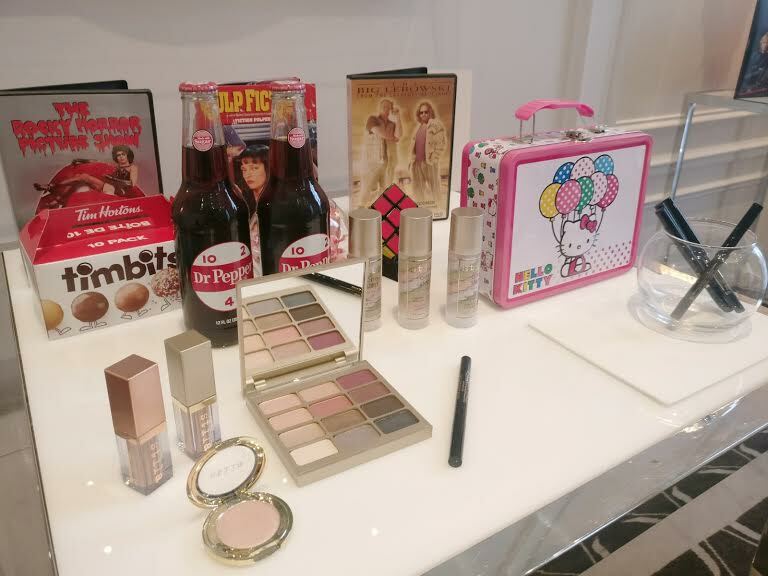 It’s time for my semi-annual ACI Beauty Preview post! 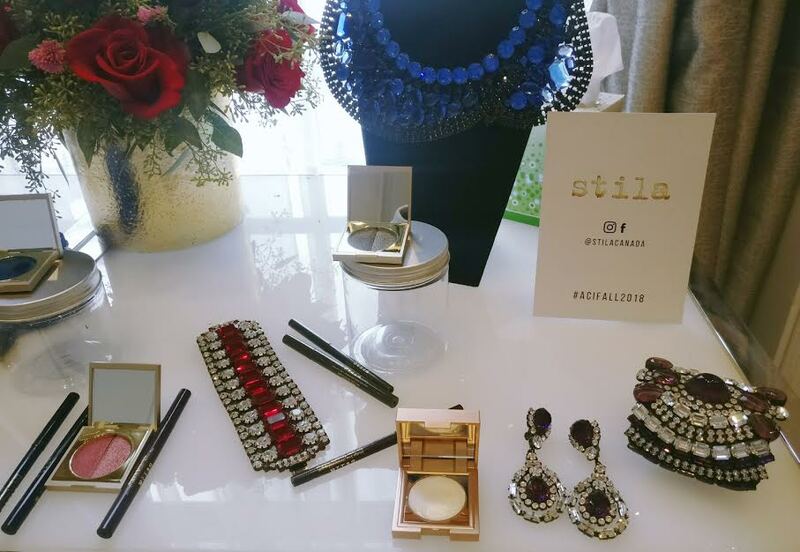 In case you don’t know, ACI Beauty is a Canadian distributor for brands such as Stila, Korres, St Tropez, Ardell, CLEAN, Paul & Joe, etc. This post will feature products from Korres, Stila and St. Tropez. 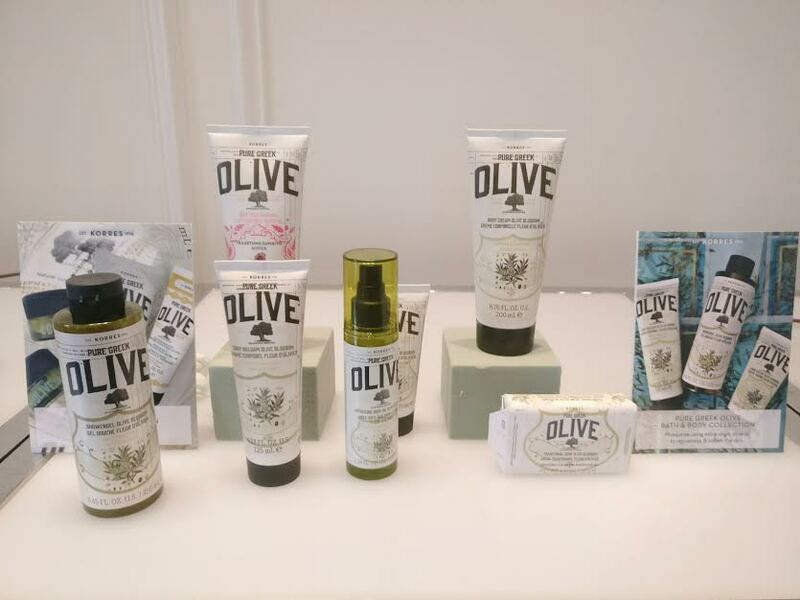 I always look forward to seeing what new product launches they will have in the Fall and Spring! For St. Tropez, we have the bronzing mousse. 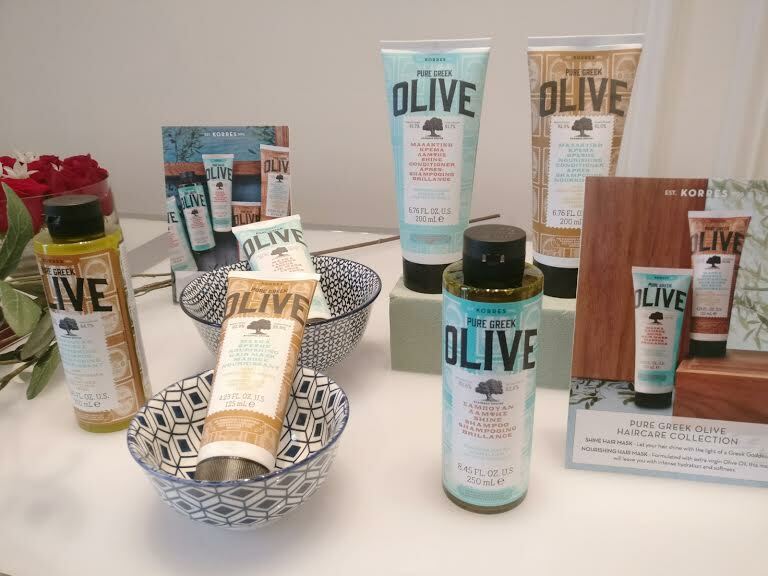 They have mastered the art of the at-home spray tan, especially when it comes to the scent. I am not familiar with spray tans but I have heard most spray tans do not have a great smell. St Tropez ensures that their tans smell great so that it is not off putting. For Stila, we have a variety of different cult favourites including the Stay All Day liner, One Stop Correct primer, certain shades of eyeshadows, and the liquid eyeshadow! My own personal favourite also includes the Stay All Day foundation. 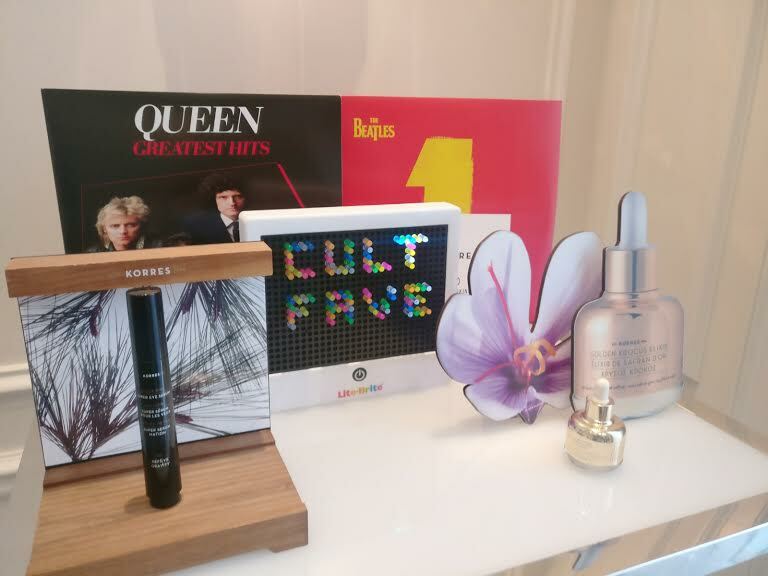 Lastly, for cult faves, the two products from Korres was the Golden Krocus Elixir and the Black Pine Eye Serum. The Golden Krocus Elixir can be described as a very rich, liquid gold product. And with that name, I would certainly not question it! The Black Pine Eye Serum has a push cap and helps to fill in fine lines and plump up the eye area. It can also be used as an eye primer to smooth everything out. I have tried neither of them so I can not really offer my own opinion on them. Moving on now to the new releases! 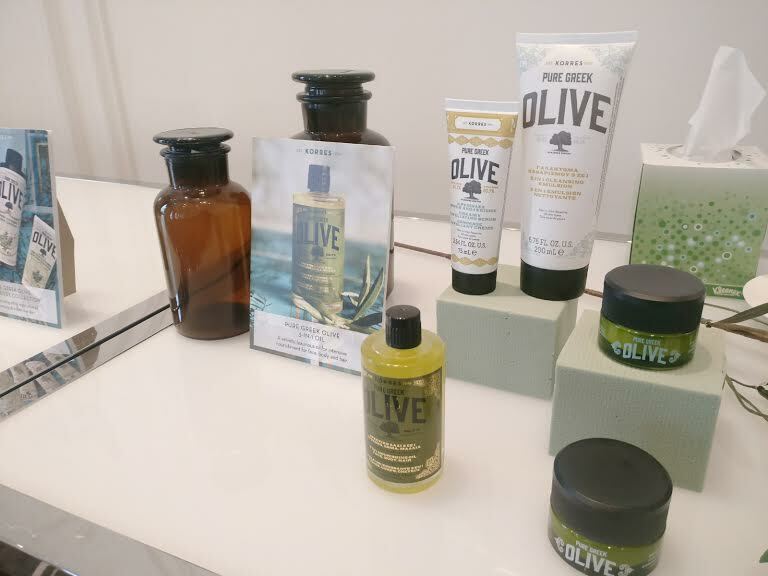 There are a bunch of new releases from Korres, but I will only talk about one line in this post. I don’t like super long posts so I will make another post on the other new Korres, Stila and St. Tropez releases after this. The Korres Wild Rose oil is one that I have raved about multiple times here. This season, they have released the Wild Rose 15% Brightening Serum which is basically an improved version of the original Wild Rose… I mean, the Wild Rose oil was already amazing at brightening up your skin, so I can’t imagine how it can get any better. 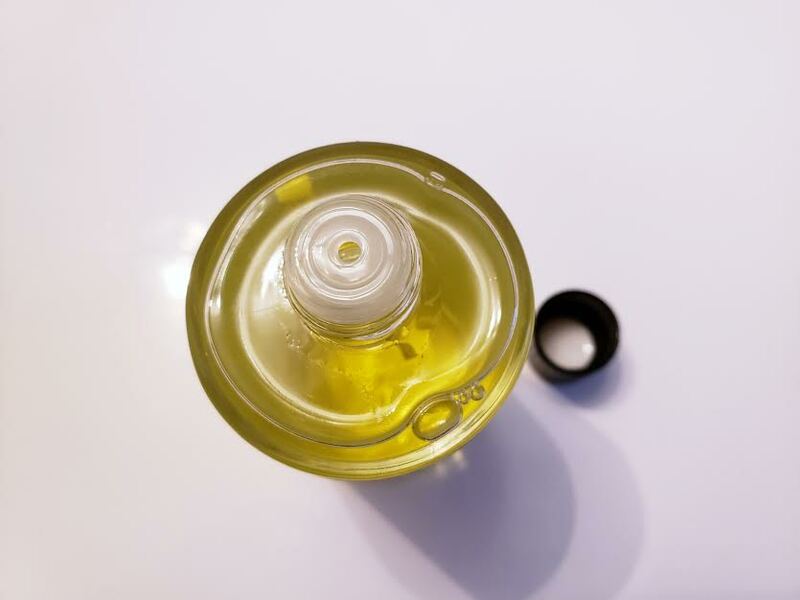 The vitamin c oil helps brighten skin and with regular use, you will notice a difference. 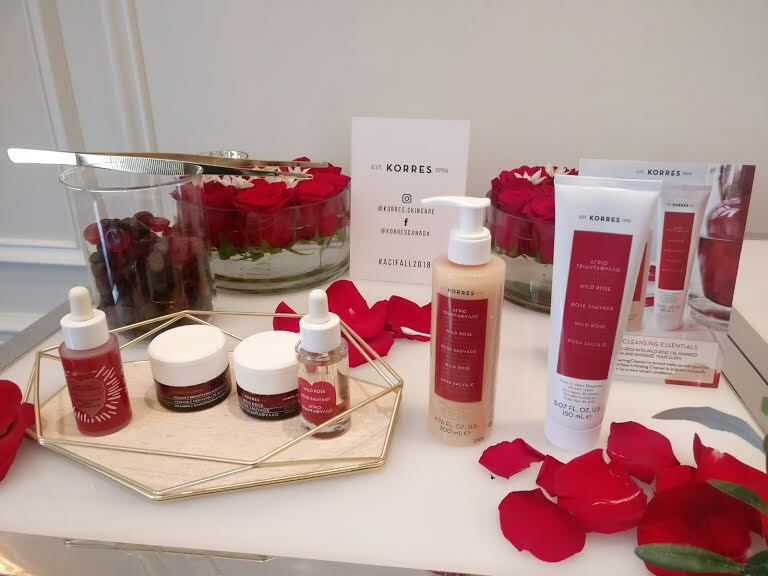 Another new launch in the Wild Rose line is the Korres Wild Rose Foaming Cleanser. It also contains the same vitamin c as the oils above, which will further assist in brightening your skin. The cleanser is gentle and moisturizing yet is able to remove waterproof makeup easily. I have been using it for a few days, so stay tuned for a review! This post is getting lengthy so I will end it here! 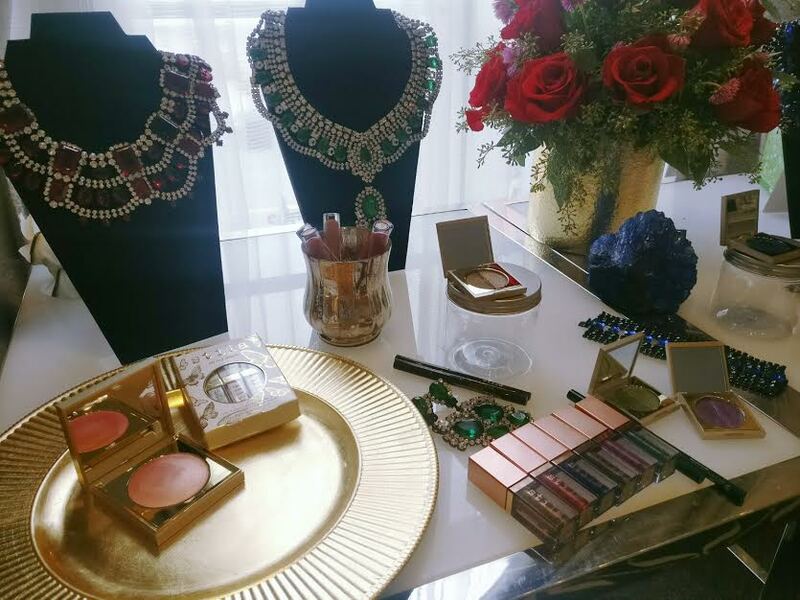 Stay tuned for part 2 where I share another Korres line launch, and the new Stila and St. Tropez releases! Hi hi! 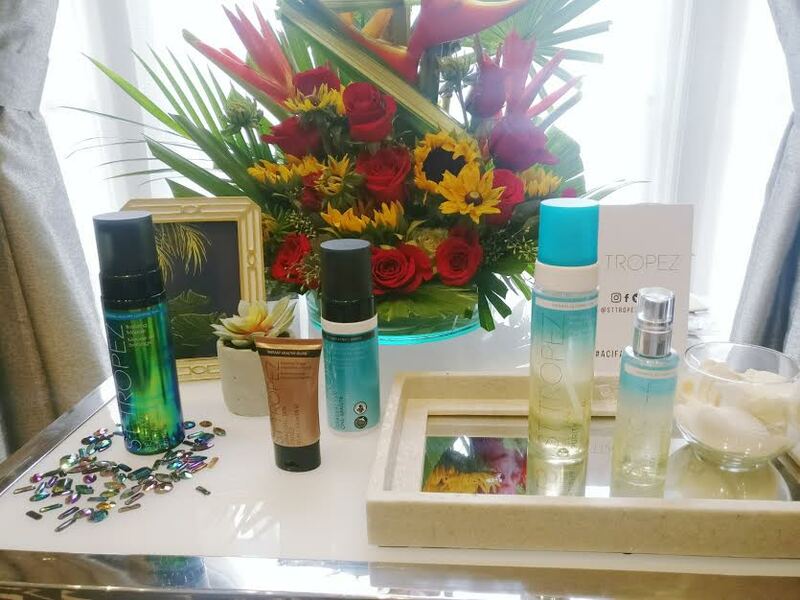 Continuing along for the ACI Beauty Spring 2018 event, here is part 2/2! One of Paul & Joe’s most popular products is their cat shaped lipstick, which we have been for the past couple of preview events. They have switched it up for spring 2018 and put a flower design instead of a cat. 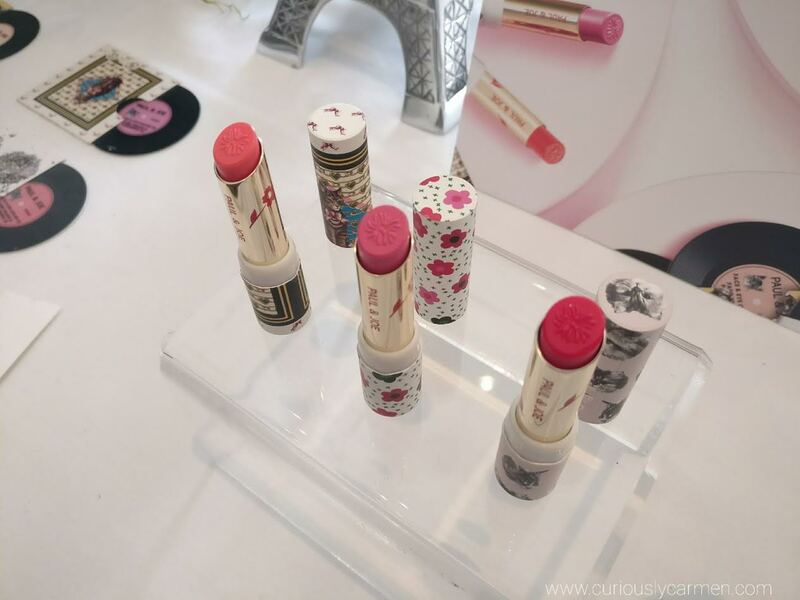 The formulation is still the same and if you see a cat themed lipstick case, that is after the founder, Sophie Albou’s own cat! Moving on are these super thin and travel friendly cheek/eyeshadow ‘records’. 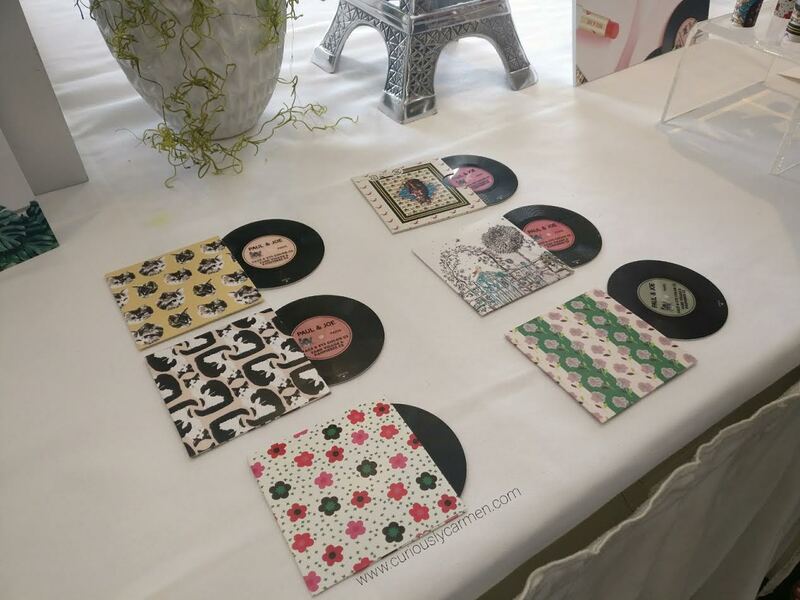 They are designed after vinyl records and last about 30 uses. I like how they are super thin and compact, about the thickness of a credit card. 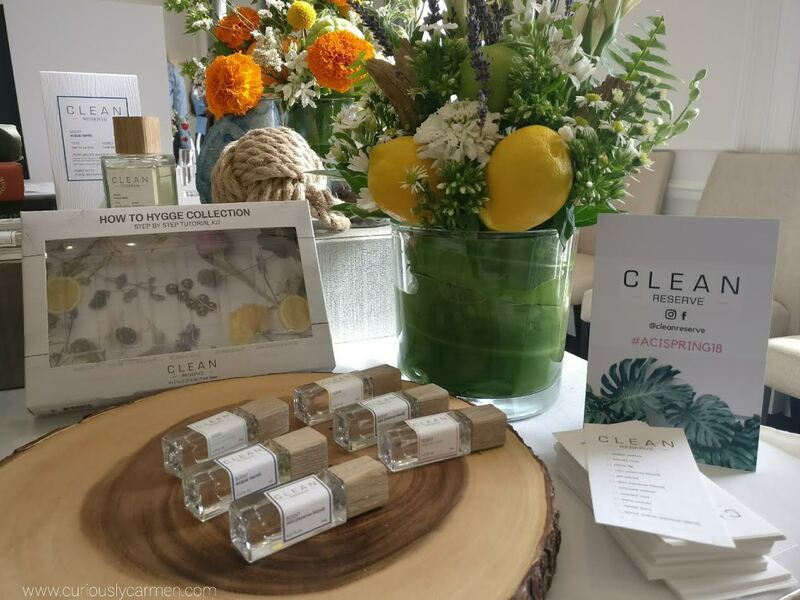 CLEAN is also big on encouraging customers to create and layer their own scents. 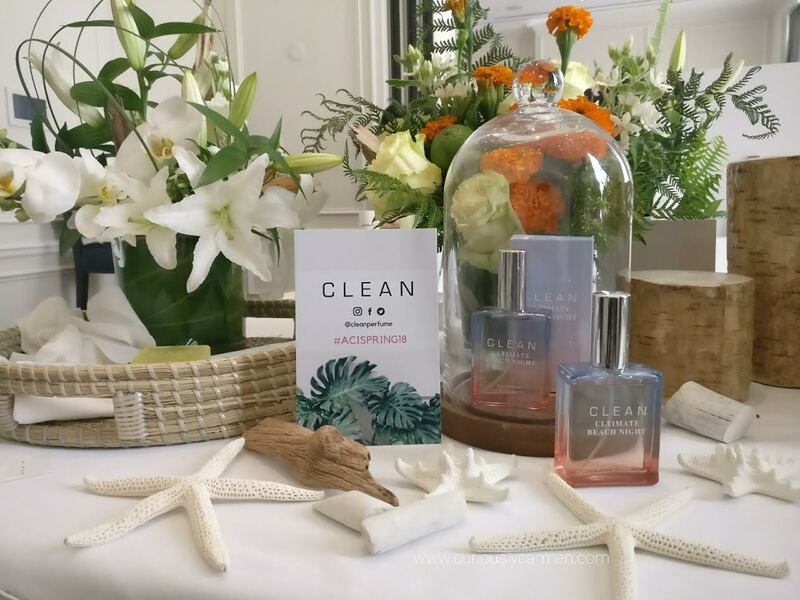 This is their new 6 piece CLEAN Reserve Hygge collection. The word Hygge is a Norwegian word for a mood of coziness, wellness, contentment, etc. The word has since been adapted into Western culture as a term synonymous with self care. Each of the caps are made of real wood, so the design of each cap is unique. 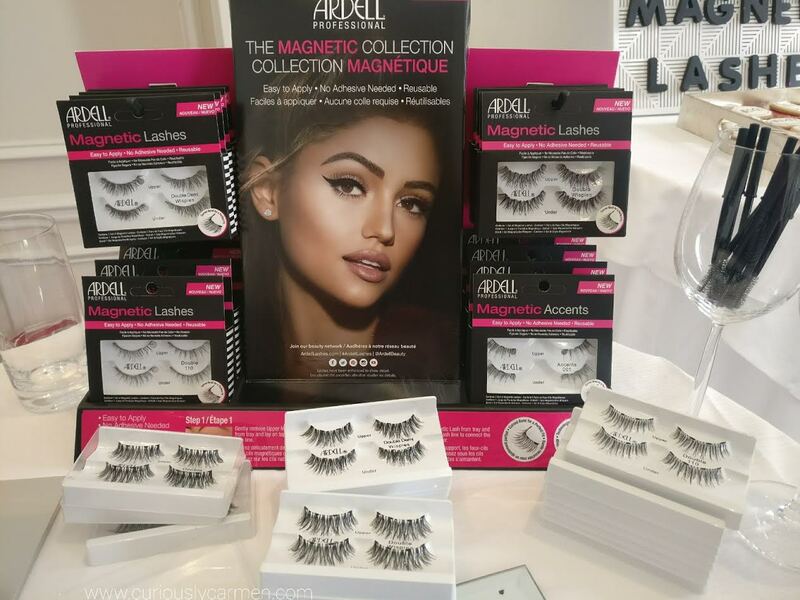 Last but not least, Ardell is launching magnetic lashes! I haven’t seen these before and I was very curious as to how they worked. The main difference is that they do not require any glue. Each eye takes two pieces of falsies, which have magnets. You put one piece on top of your lashes, and one on the bottom so they clip together. I had a demo after the event and the Ardell rep made it look easy to apply, but we shall see when I try at home myself. I suspect that there will be trial and error. I wore them for the rest of the evening afterwards and they were so easy and mess free to remove!